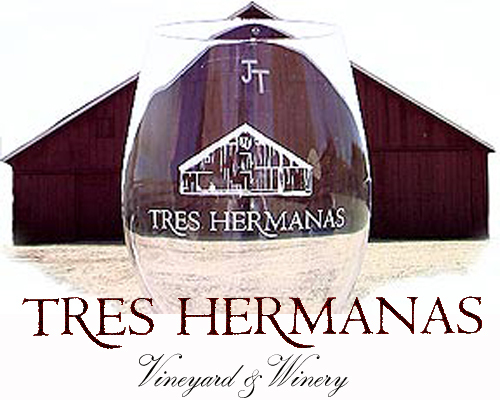 The Tres Hermanas Vineyard & Winery was founded in 2001 by Marvin & Paulette Teixeira with the planting of a small vineyard on their cattle ranch. Tres Hermanas which means the Three Sisters, was named for their three daughters, Stacey, Tracey & Marcey. Our label is a picture of the barn that exhibits the JT cattle brand, which was Marvin’s fathers brand used to identify cattle today. The barn still exists on the winery property. The ranch is still headquarters for the family cattle operation. Our first harvest was in the fall of 2003 with the tasting room opening in July of 2007.